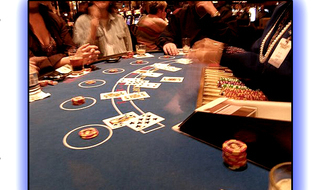 From Blackjack, Hold 'Em, Craps, Roulette, and Baccarat, to Slots, the Money Wheel, and Personalized Money...We offer elegant, clean, and stable casino tables for any event. Our professional and courteous dealers are always a crowd favorite. The wheel consists of different baseball and football team logos. Guests try to pick which team the wheel will stop on to win a prize. 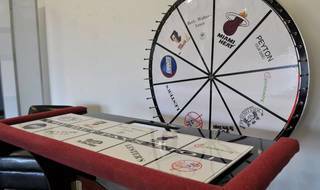 The Wheel is not limited to sports themes alone...it can be customized to feature only your favorite teams, event theme logos, or any graphics that you'd like us to use! Blackjack comes to you! Our strolling blackjack dealer adds an opportunity for on-the-spot fun by playing quick hands of blackjack with your guests. 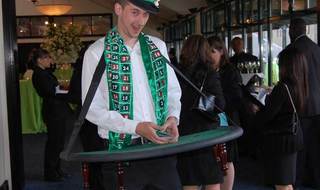 Day at the Races provides competitive entertainment for corporate events & picnics and social events. 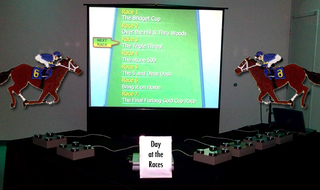 A full fledged horse racing announcer calls each race and the game can be experienced on either a projection screen or a large screen plasma. Our lovely Candy Girls will add life to your next party! Adding a unique ambiance to your event's atmosphere with their warm personalities and courteous service, they can serve your guests candies, food & drink, provide a fun photo opportunity, and add a sense of style to the room. 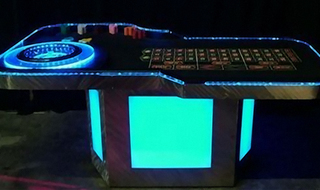 Offering roulette, blackjack, craps, and poker, these funky tables are sure to attract crowds of excited guests Wonderful for a main Room attraction with the ability to enhance the room! Choose more then 2 tables a package Pricing can be created! Instructional Dealers included, Model Dealers Available. 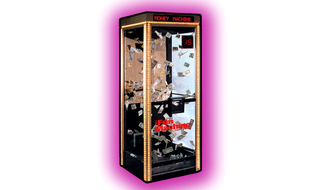 Race against the clock to grab as much funny money as you can in 30 seconds! Contestants compete to grab and hold onto as much play money as they can. The player who grabs the biggest stash wins a prize! Perfect for directing guests to their respective tables! Booth can be attended or unattended. Signage can be customized to fit your theme/logo. The classic hustle game! Follow the fast hands and let's see if your eyes can spot the right card. 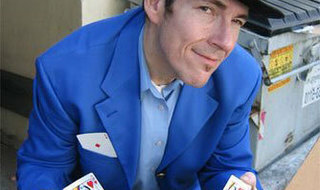 In addition, we can teach you some fun Blackjack tricks and allow our talent to stroll and interact the crowd. Can also be set up stationary.